England Women will line-up with Barbarians for the first time when they face each other at Twickenham Stadium in June. The game has been scheduled at a kick-off time of 12:45 pm on 2nd June following which the men's England team will be seen in action against Barbarians in the Quilter Cup. The contest will also help Simon Middleton's side prepare ahead of their summer tour that kicks-off in July. 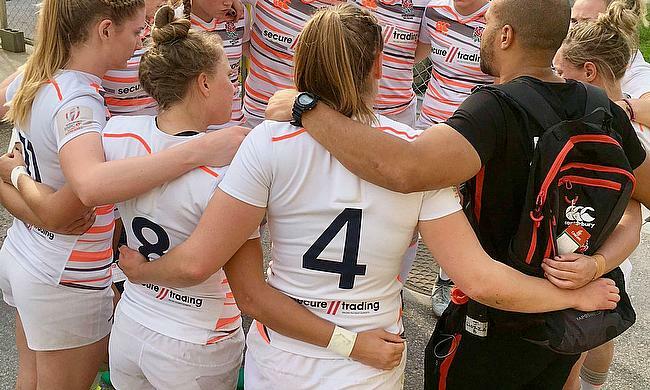 “Connecting both the men’s and women’s Barbarians fixtures at Twickenham Stadium is a great concept and will truly bring to life the women’s Barbarians," said England Women head coach Middleton. Women's Barbarians side was launched in October 2017 and in their first season they played Munster and the Army counterparts. “The Barbarians successfully launched its women’s team in 2017 to bring together talented individuals and create a team that plays with a unique spirit of adventure and enjoyment. Meanwhile, England Men's side will be coached by Jim Mallinder for the Quilter Cup clash against Barbarians with Eddie Jones overseeing it as part of the coach development programme between England Rugby and Premiership Rugby. "I’m really excited to be head coach of this England team," said Mallinder.